Decide... Commit...Succeed...The three words adorn both the walls and business cards of Jacqueline Electric and Contracting, Inc., (JEC) and represent the mantra Jacqueline Gorman founded her company on. Through immense commitment and dedication, Gorman has earned numerous degrees and certifications in the industry, and even a black belt in karate. By 15, she was working in the field with various contractors and eventually for the family business. While learning hands-on skills in the trade, she was also earning her degree in electrical engineering at Wentworth Institute of Technology and attending night school at Northeastern University. 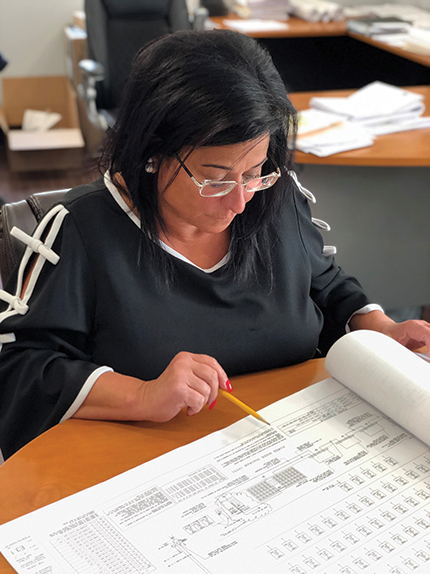 There she was building the foundation for Jacqueline Electric and Contracting’s success based on her core beliefs: family, community, hard work, and sharing success with her team. The foundation that she built is made strong by her vast knowledge and expertise and her love for this business. She is a genuine Jackie-of-all-trades. She holds a master electrician license in five states, has a degree in electrical engineering, has knowledge of HVAC, plumbing, and is a skilled businesswoman. To Gorman, success equals being well rounded and diversified. If something is needed on a job, chances are she knows how to do it. She only wants to set her team up for success, and never asks them to do something she hasn’t done herself. In 2010, Gorman departed from the family business she had been a part of for years and started JEC. Two years later, Gorman became a certified Women Business Enterprise (WBE), and shortly after that, became DCAMM certified. As Gorman’s success grew, so did the need to expand. By early 2018, she hired Mark Doucette as vice president of JEC. 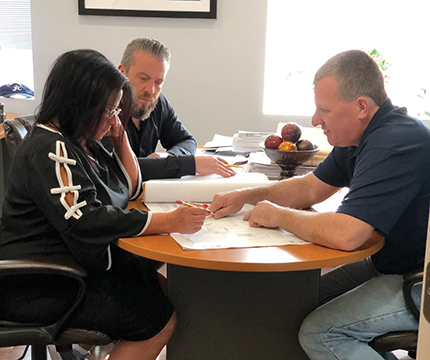 With over 23 years of experience and countless friends in the industry, it became clear to Jackie that Doucette was the person she needed to help bring her team to the next level. Doucette began his career in 1994 in a warehouse, and shortly after was elevated to warehouse manager. His hard work and dedication to his team helped him quickly rise through the ranks, and in the next years he worked as an electrical distributor, manager of electrical distribution, switchgear sales and design, and lighting sales and design. What stands out in Doucette’s career, though, is his ability to manage large teams and maintain healthy connections within the industry. He is well respected by everyone, from suppliers and manufacturers, to men in the field. Before joining JEC, Doucette managed districts throughout Massachusetts and Rhode Island with nine locations and oversaw a large staff of professionals, as well as an extensive P&L. He was responsible for all day to day operations, as well as development of the business. His reputation and commitment to superior service and customer relationships drew the attention of Gorman, who wanted to build a tightly knit crew of people who shared her dedication. Gorman and Doucette have forged a relationship based on mutual trust, friendship, and the desire to provide superior service. Through networking done with industry organizations throughout New England, and his close relationships with contractors, distributors, sales representatives, and manufacturers, Doucette has worked to give JEC the competitive edge on purchases of materials and packages. He has helped to build a strong and sustainable team for JEC that will carry them into success in 2019 and beyond. 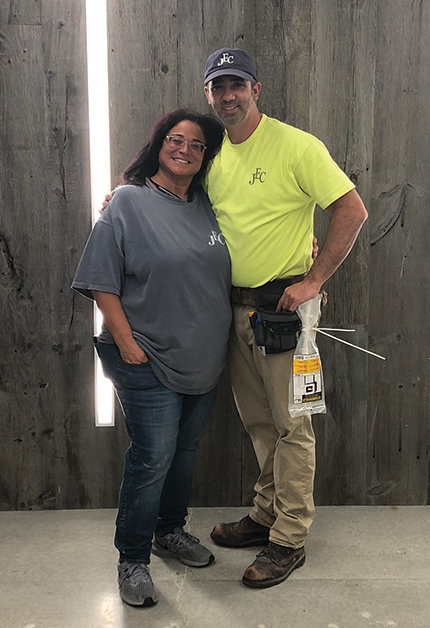 While Gorman and Doucette may be the soul that give JEC its direction, the heart and driving force of the company is its team of outstanding men and women in the field. This truly amazing group of individuals is built of field foreman with over 130 collective years of experience, a crew of diverse apprentices coming from different trades, schooling and backgrounds and an experienced back office. With a love of construction, an admiration and respect for Gorman and what she has built this team spends every day working to uphold the vision, core values and reputation of JEC and is at the core of its success. A day doesn’t go by when Gorman is not bragging about her team and what they mean to her and JEC. Today, Jacqueline Electric and Contracting has 45 employees, and invests in the future with their apprenticeship program and training. In early 2019, they purchased property and opened a new office for JEC, complete with a warehouse and room to expand with more buildings and facilities. As JEC’s success grows, Gorman and Doucette are dedicated to bringing more success to the team. They both share a commitment and love for their own families, and for the families of their team. Gorman has been known to send her employees and their families on vacations, and is now building a gym in the new office space to keep the team healthy. 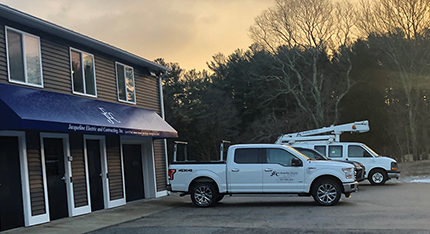 In the coming year, Doucette envisions JEC as an elite and sought after electrical contractor, and wants to make its presence known in the constantly changing skyline of New England. Together Gorman and Doucette plan to ensure JEC is regarded as one of the top sub-contractors in the market. Above all, though, Gorman and Doucette want to take care of their team and their clients with the highest level of professionalism and integrity. After doing $7.2 million in sales by the end of 2018, and acquiring new jobs and future prospects, Gorman and Doucette predict they will do $9 million by the end of 2019. They continue to invest in new resources and equipment, training, and only hire the most skilled tradesmen in the field. As JEC continues to drive their success into 2019, what keeps them afloat is the pride they have for their hard working team, their skills, and their reputation as a company that will always get the job done to the highest standard. Interview and article by Gabrielle Doucette-Boisse.